Stocks listed on the Canadian Securities Exchange (CSE) are typically seen as higher risk than their TSX-listed counterparts. However, when it comes to pot stocks, those that are on the CSE also present a lot more opportunity. Stocks listed on the Canadian Securities Exchange (CSE) are typically seen as higher risk than their TSX-listed counterparts. However, when it comes to pot stocks, those that are on the CSE also present a lot more opportunity. It’s not just because they’re cheaper and therefore could rise more in value, but it’s also because the TSX is much more restrictive. For instance, you won’t find a TSX-listed stock that has operations in the U.S. The TSX has in the past alerted companies that they risk being delisted from Canada’s major exchange if they are involved in the U.S. cannabis industry. Since it is illegal federally, it would not be in compliance with U.S. laws and that would be a problem for TSX-listed stocks. We’ve seen Aphria Inc (TSX:APHA)(NYSE:APHA) previously divest of its U.S. interests after initially not showing much concern about the potential issues it might’ve run into. Getting delisted is a big problem as it means losing access to some big investors and so it’s not something that companies take lightly. The CSE, however, has had a much laxer approach to companies that operate in the U.S.: it allows them. Stocks like MedMen Enteprises Inc (CSE:MMEN) and Curaleaf Holdings Inc (CSE:CURA) have significant operations in the U.S. and they have had no trouble trading on the Canadian exchange. The CSE has offered U.S. cannabis stocks a way to raise capital and to help grow their business while other exchanges have not been nearly as welcoming. This gives CSE-listed stocks a big advantage over ones that are listed on the TSX. They present the best option today for investing in U.S. pot stocks. And given the growth potential and the early results we’ve seen from that market thus far, that’s a big opportunity. With more States opening their doors to marijuana, the industry is only getting bigger and there’s a lot more potential in the U.S. than there will be in Canada. 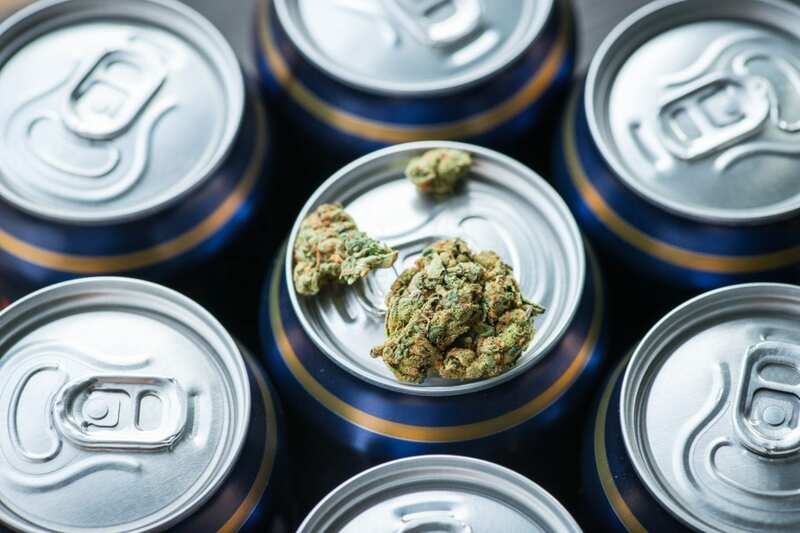 While Canadian cannabis companies may have been producing some strong, early results thanks to the recreational market being open for business, individual companies could quickly run into a ceiling, especially given how much competition there is. And with significant restrictions on advertising, it’s very difficult for smaller players to get their names out there. That means that if you’re not already one of the big pot stocks in the country, getting to that level is going to be very difficult. And even for the ones that are already big, trying to build growth opportunities is what drives many to expand into other parts of the world. While the European markets present growth, it’s a fraction of what can be achieved in the U.S., and it’ll be more difficult and costly to move across the ocean and set up and manage operations. By not being able to tap into the U.S. marijuana industry, stocks on the TSX are going to face some bigger hurdles than those on the CSE. While the farm bill has at least opened the door for hemp products to be sold in the U.S., that’s still a very small subset of the market. Whether or not investors will get a better return from TSX or CSE-listed stocks is debatable, but for those looking to get into the U.S. cannabis industry, the CSE is the place to start looking.